Clyde is on a mission to transform insurance at the point of sale, starting with the extended warranty market. Our technology is increasing consumers’ access to extended warranties by connecting insurance companies with retailers that have long been out of reach to do business with. While the extended warranty market is neither new nor small, it has been until now, fairly exclusive. The US market for extended warranties is $40 billion annually. However, due to the various obstacles involved in working with insurance companies, only the biggest retailers have been able to take advantage of this market. Apple, Amazon, Best Buy, Walmart, and a small handful of others make billions each year selling extended warranties. Clyde isn’t trying to take on these retail behemoths – at least not at first. Rather, our aim is to expand the market for extended warranties by making it possible for retailers of all sizes to offer their customers product protection and profit from these transactions. Insurers gain access to new business with millions of products from thousands of retailers now within their reach by making only one integration – with Clyde. Retailers profit from the sale of each warranty and can increase the scope of their customer service offering at no cost. Shoppers can get the best protection for their purchases from thousands of retailers. Clyde provides a better experience for all stakeholders. Businesses can integrate our app with their ecommerce platform, customize their call to action, select a few preferences (link to How it works), connect a bank account, and launch in just a few minutes. 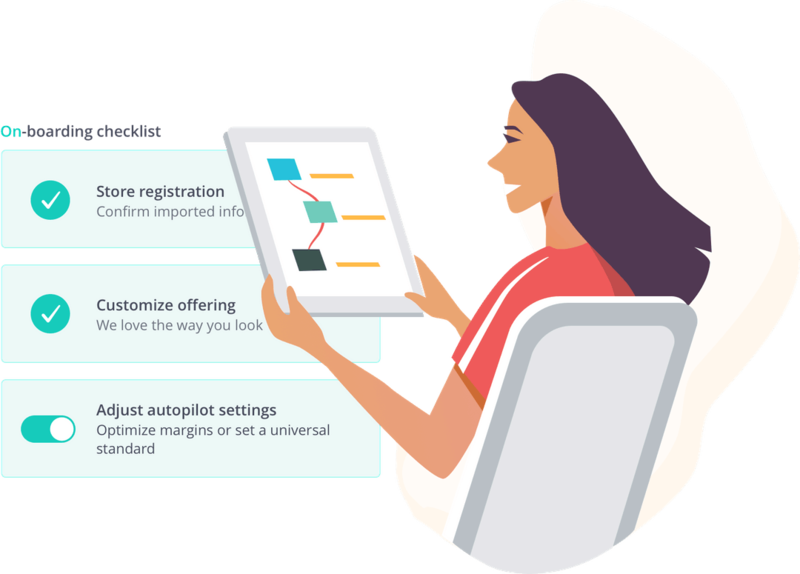 If retailers engage the autopilot feature, our software will combine insights from our partners with our own analytics to maximize conversions and revenue. In addition, purchasing an extended warranty takes only a couple clicks right on the retailer’s website, and Clyde’s insurance marketplace guarantees that customers get the best protection for their specific product. Clyde makes offering extended warranties an entirely passive part of a retailer’s business. To learn more, subscribe to our blog below or schedule a demo to see Clyde in action! Clyde benefits many stakeholders. Here's how we benefit insurers. The extended warranty market in the US is $40 billion annually - but it's massively underserved.